This is a very large acrylic painting on a canvas, framed in a simple, thin, dark brown frame. This painting measures 36″x 36″. 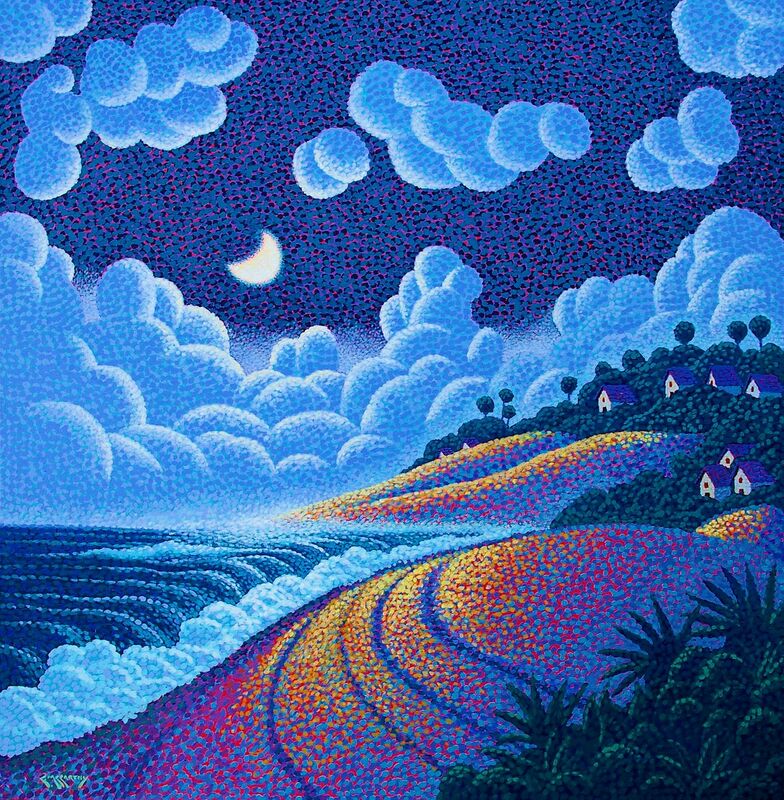 This painting depicts moonlit village set on dunes, overlooking a vast ocean, at night. A crescent moon rises above the unknown and mysterious yet peaceful village with just the shoreline surf breaking the silence. For me, creating scenes like this are a real treat. I completed this painting using my whimsical form of pointillism. This painting is being sold FRAMED.